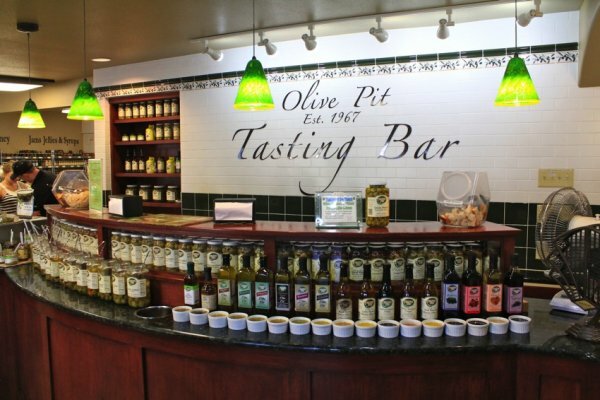 Upon entering they have a tasting bar that has a plethora of green olives (mixed with everything from blue cheese to bacon) as well as butters (pumpkin and apple) and olive oils (everything from peach to garlic). 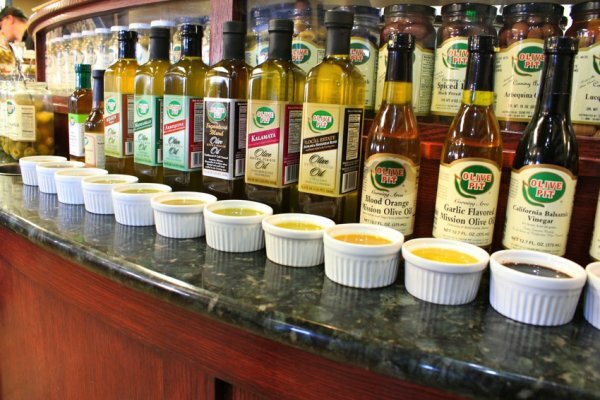 All of these are really fun to sample and many of them are quite good. 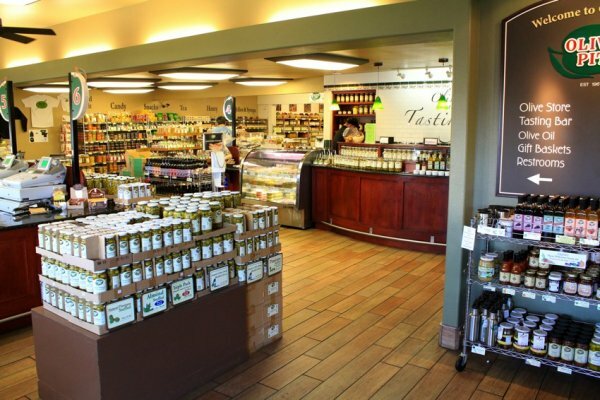 The friendly staff helps you figure out which one you would like and provides crackers and bread. 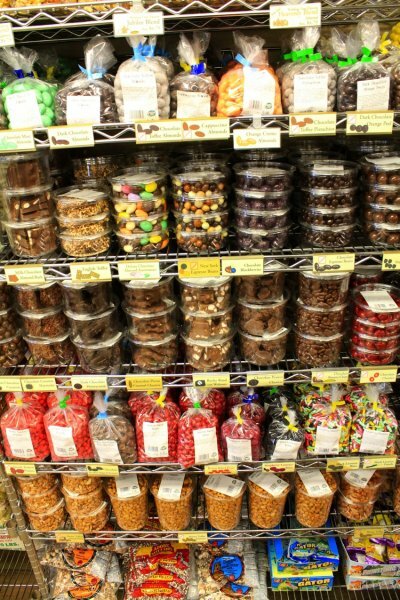 They also have a huge area of nuts and other goodies such as dried fruit and jams. I always pick up the honey raspberry almonds or the butter toffee peanuts which are heavenly. All of these things help to provide an atmosphere that is fun and new. They have a huge amount of things to try and indulge in and I guarantee there is something there to purchase that you have not seen before. They also have a restaurant if you are looking to get a full meal in between samplings. 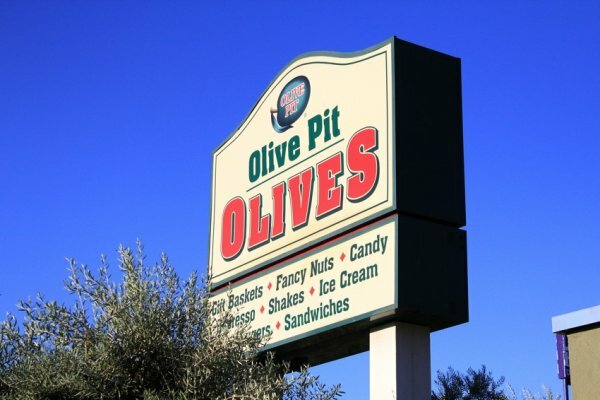 The olive pit is a great time if you need a much needed stop between Redding and Sacramento. Check out the rest of the pictures and get directions below. Also be sure and let me know if you know other great California road trip sights.